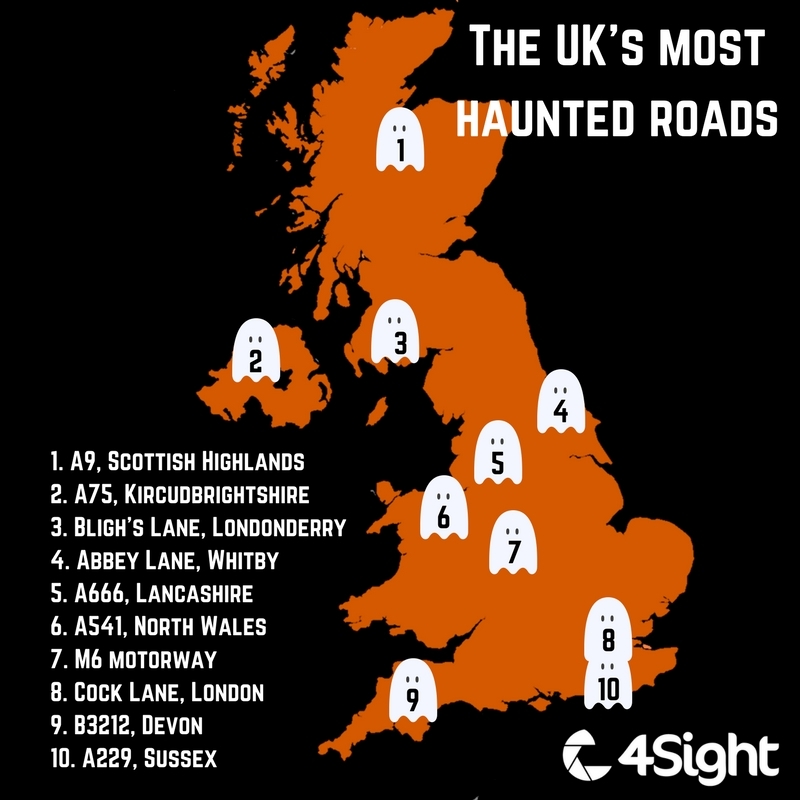 It’s Halloween and we’ve found the haunted roads where you’re most likely to have a supernatural experience. Whether or not you believe in ghosts and ghouls, travelling these roads will send a shiver down your spine. If you’re brave enough to take a drive down a horrific highway make sure your dashcam is on to capture any ghastly goings on! Stories about the A75 go back more than 50 years, and it’s thought of as Scotland’s most haunted road. Most of the sightings have reported people walking out in front of cars but there’s no impact and no sign of any accident. This steep street is home to the ghost of a woman who is said to cross the road to reach a nearby well. In the 1950s two boys tobogganing down the hill saw the woman with her buckets and swerved to miss her. They later realised if they hadn’t they’d have been killed by a truck coming the other way. The imposing remains of Whitby Abbey, high on the cliffs, were spooky enough to inspire Bram Stoker’s Dracula. But there’s plenty of other ghastly apparitions here including Saint Hilda, who founded the abbey, who can be seen gazing out of a window. There’s also a phantom horse-drawn coach that speeds along the cliff before plunging into the sea below. The ‘Devil’s Highway’ is home to a dark shadow that is known to appear in front of motorists. It’s even been caught on camera – but you’ll need to look for the footage yourself! Many shocked motorists have reported accidents with a woman wearing black, Victorian style dress here but nothing has been found. The woman in question is believed to be a 16-year old who planned to elope with her boyfriend, but fell in a well the night she was due to run away. The M6 is the longest motorway so perhaps it’s unsurprising that it has its fair share of ghastly goings on. Some of the most commonly reported sightings are Roman soldiers on the march and a lorry driving against the flow of traffic. This is a slightly different kind of haunting, where a pair of disembodied hands suddenly seem to take the wheel of drivers’ cars. There’s little known about who the hands belong to but drivers, motorcyclists and cyclists have all reported the same phenomenon.